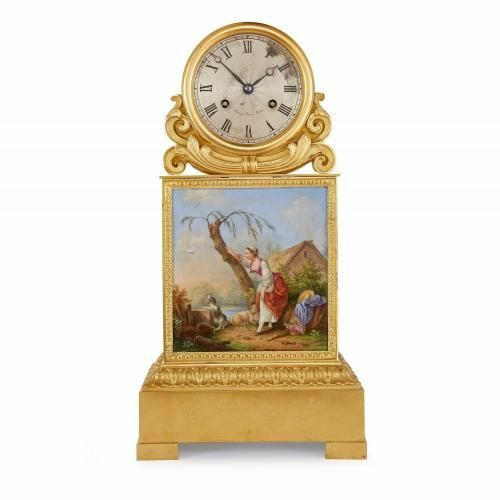 The simple Neoclassical form of this French antique mantel clock allows the very finely painted porcelain plaque to take central prominence. 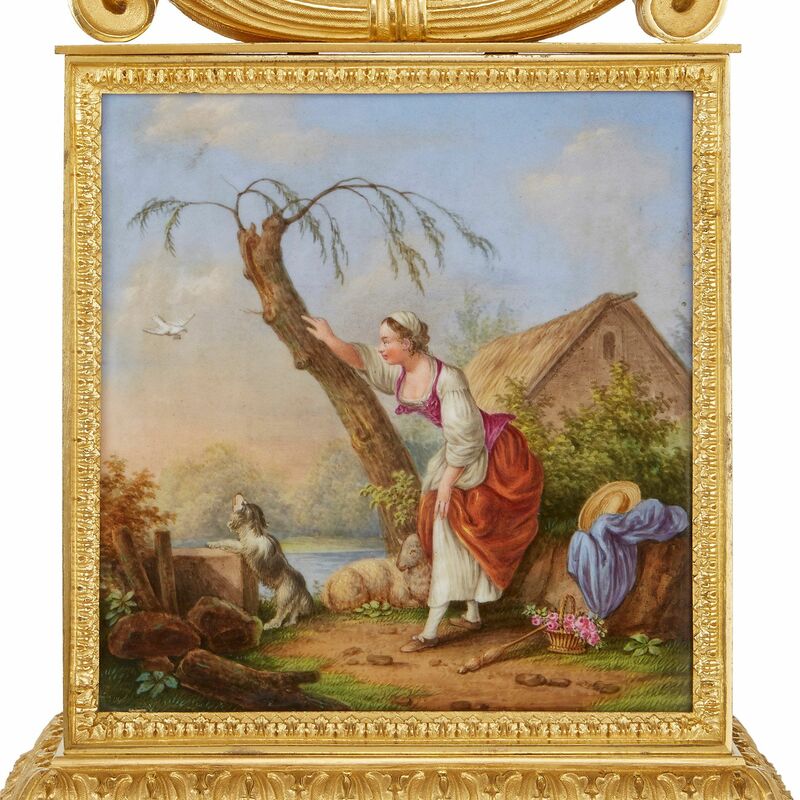 The rectangular case inset with a painted porcelain plaque depicting a shepherdess in a rural landscape, the reverse with an indistinct puce mark of Edouard Honoré. 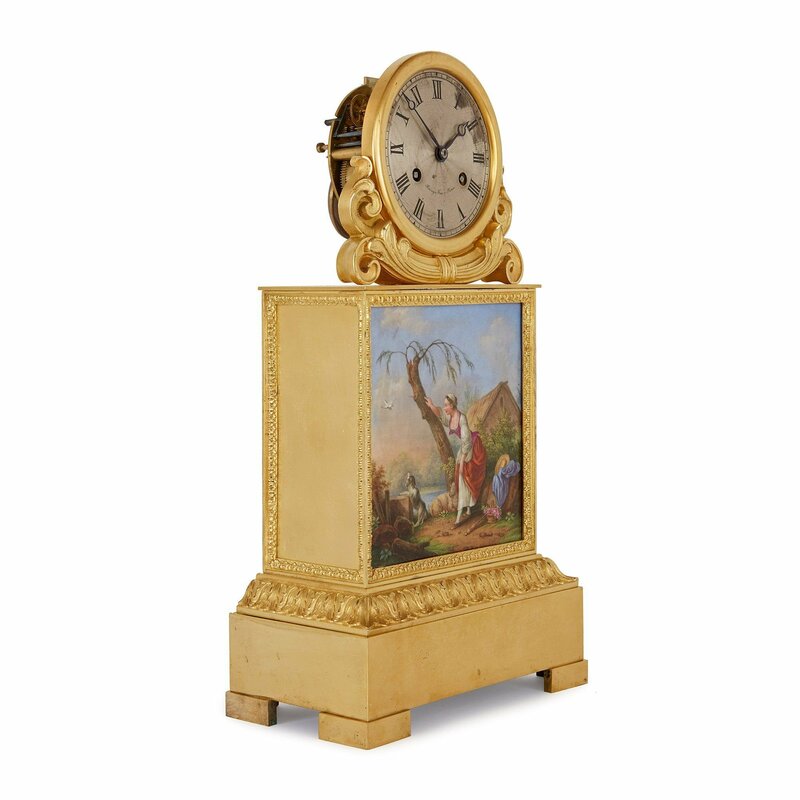 The silvered dial signed 'Raingo Fres à Paris'; with similarly signed bell striking on Pons movement, silk suspension and outside count wheel.